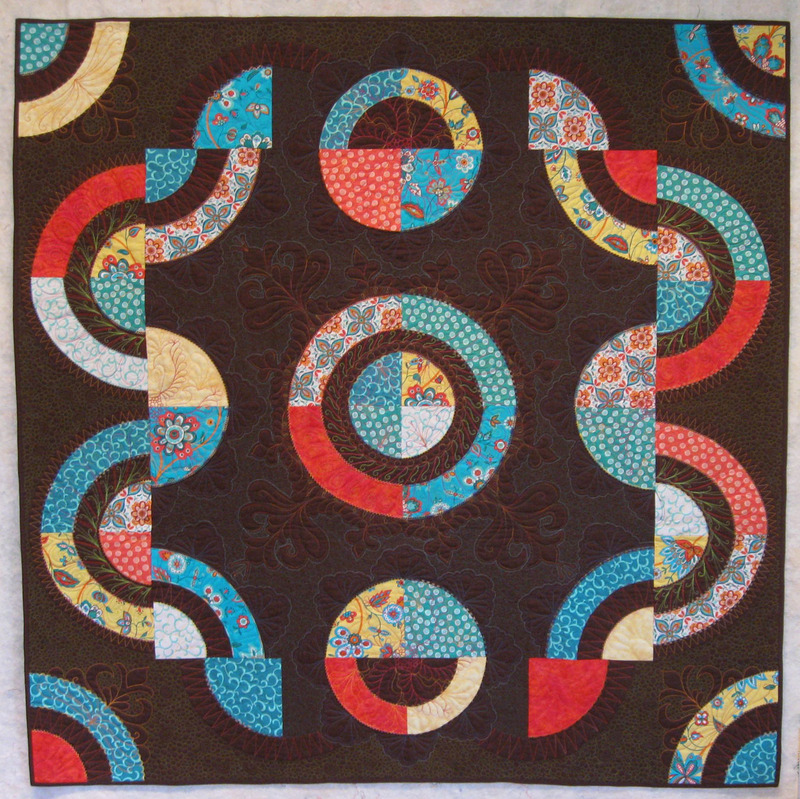 Fiber Antics by Veronica: "Pi" wins prize at HMQS contest! "Pi" wins prize at HMQS contest! The phone call came yesterday. She couldn't divulge any more info on the phone at the time, but the Awards Ceremony has concluded and the results from the HMQS—Home Machine Quilting Show are now official. Congratulations to my quilt, "Pi E2 [Exponentially Embellished]," on receiving the 3rd Place award in the Conventional Machine category. 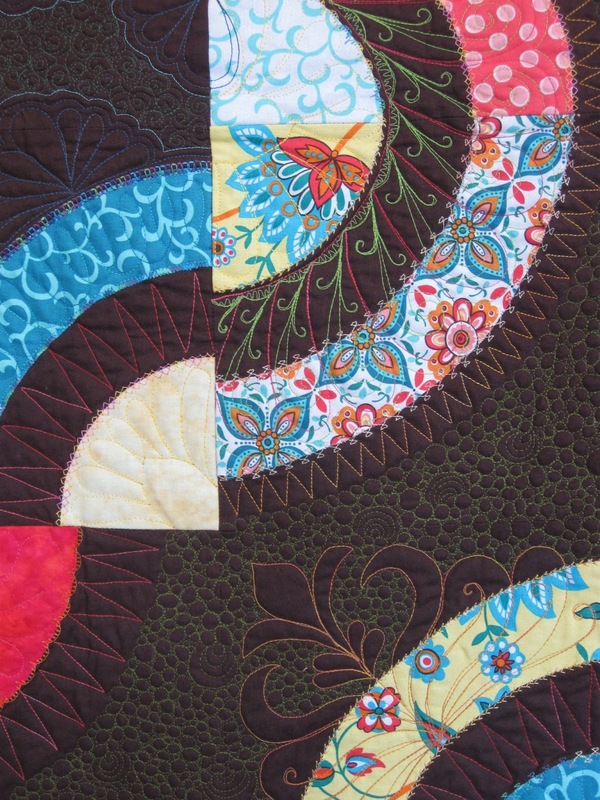 Here are detailed views of the free-motion quilting and decorative stitching on the appliqué. 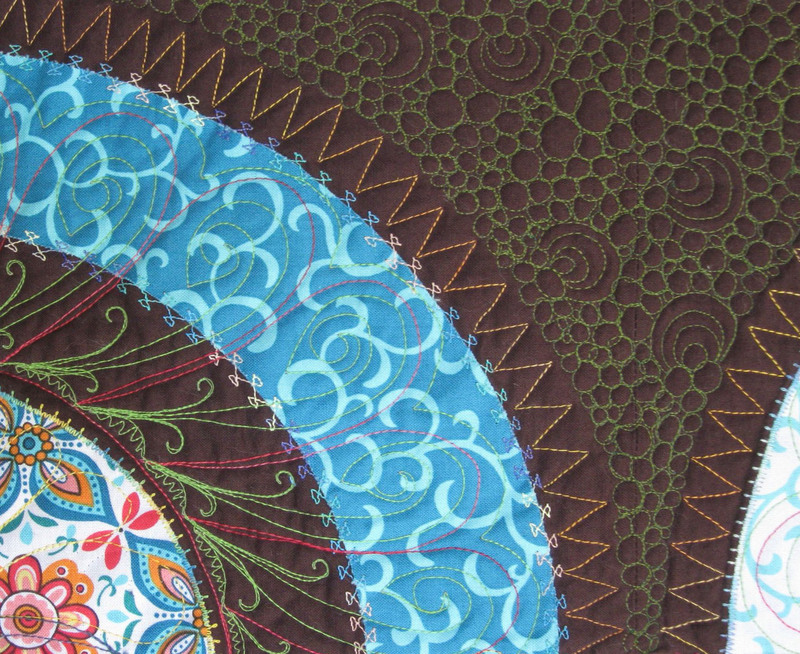 Detail of free-motion quilting and decorative stitching. Previous posts about the creation, fabrics and quilting of "Pi" are here, and when it was accepted into the Georgia Quilt Show and the quilting stats. Just for grins, I checked flights from Chattanooga to Salt Lake City. The best price was $506, but I would have had to book it, pack, and get to the airport within 35 minutes. Guess I'll have to plan better for next year. Now you're famous! I love the quilting on this quilt - and the judges were ever so correct to award you a prize! Beautiful work Veronica. The award is well deserved ! ! !